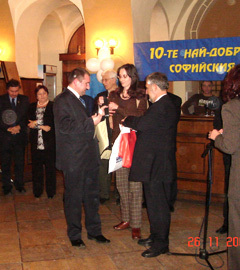 Three members of "Vitosha" was rewarded. 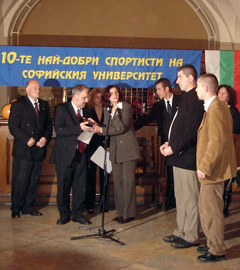 On 26 of November 2008 in club-restaurant "The Egg" (Yaiceto) in Sofia University St. Climent Ohridski on a special ceremony was given the prizes "Sportsman of the year 2008". Awards was given from the rector of the university prof. Ivan Ilchev d.h.c.